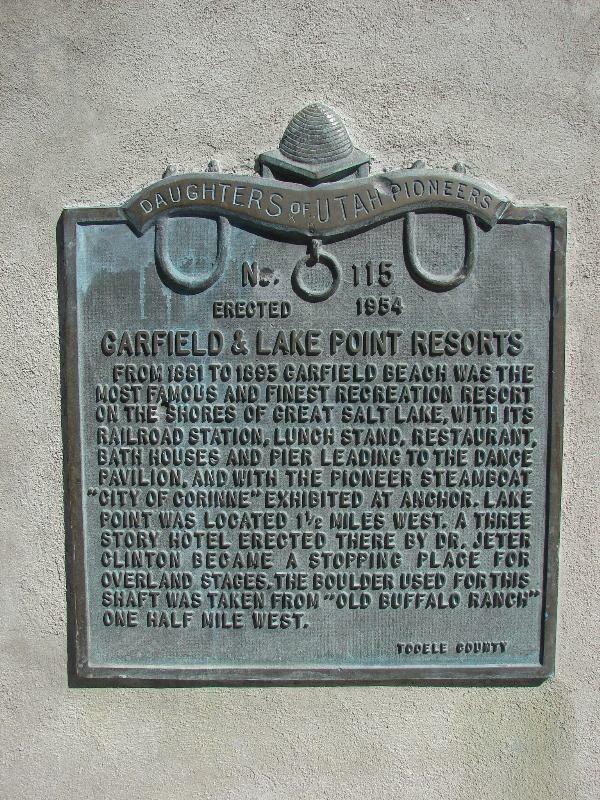 From 1881 to 1893 Garfield Beach was the most famous and finest recreation resort on the shores of the Great Salt Lake, with it’s railroad station, lunch stand, restaurant, bath houses, and pier leading to the dance pavilion, and with the pioneer steamboat “City of Corinne” exhibited at anchor. Lake Point was located 1 ½ miles West. A three story hotel erected there by Dr. Jeter Clinton became a stopping place for overland stages. The boulder used for this shaft was taken from “Old Buffalo Ranch” one half mile West. D.U.P. Marker #115 (Other markers listed here) Also located at this Interstate 80 pull-off are D.U.P. 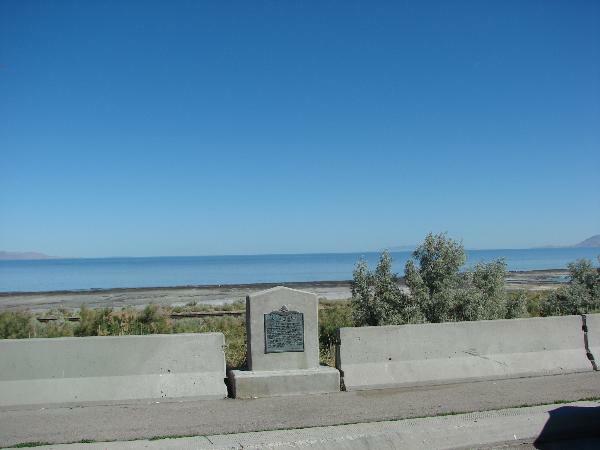 Marker #118 and Jedediah Smith’s Trail – Great Salt Lake.